CULPEPER, Va. - Herbert H. Hash, the oldest living former Red Sox pitcher, died yesterday, according to the University of Richmond, where he played several college sports. He was 97. Mr. Hash died of a stroke in his hometown of Culpeper, the university's sports department said in a news release. Signed by the Sox in 1936, he played two major league seasons, both with Boston, and compiled an 8-7 record with a 4.98 ERA in 38 appearances, including 12 starts. 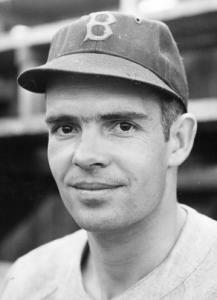 He was 7-7 with a 4.95 ERA in 1940. The following year, he was 1-0 in four relief appearances before a series of injuries and illnesses prompted his retirement. The oldest living former Red Sox player is third baseman Billy Werber, who turned 99 last June 20. Hash was inducted into the university's Hall of Fame. Mr. Hash leaves three sons, Herbert Jr. of Boone, N.C., Randy of Bluemont, Va., and Happy of Culpeper; and a daughter, Reva of Culpeper.